It was in the aftermath of World War Two when the Welsh National Opera (WNO) first emerged from the ravages of war-torn Britain to stage its first productions. Seventy years on and the WNO will mark its anniversary during its summer season at Birmingham Hippodrome with a revival of those first two productions - Cavalleria rusticana & Pagliacci - along with a World Premiere of new opera In Parenthesis by acclaimed British composer Iain Bell. 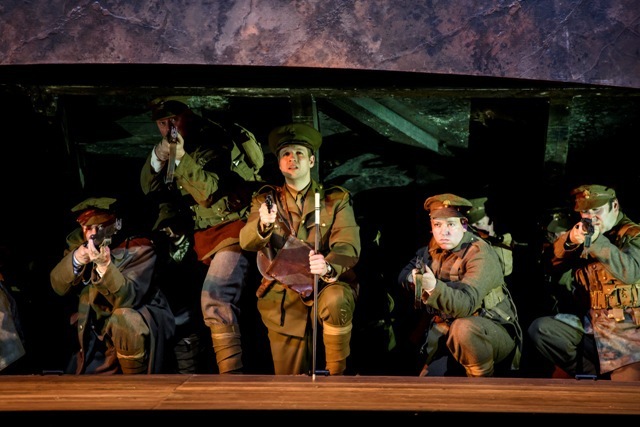 In Parenthesis is a brand new opera commissioned to mark the Welsh National Opera's 70th anniversary along with the centenary of the First World War. The summer season heads to Birmingham Hippodrome for performances from June 9 to 11, 2016, starting with Cavalleria rusticana & Pagliacci - affectionately known as a Cav & Pag. These were the first two productions ever staged by the company in Cardiff on 15 April 1946 and they now make a reappearance with some of the most instantly recognisable opera music due to the array of films and TV shows they have featured in. Sung in Italian with English surtitles, the tunes have cropped up in numerous films, adverts and cartoons across the years - Raging Bull, The Godfather Part III, the Mad Max Fury Road trailer, Watchmen and Seinfeld to mention just a few. The reason for this is due to the beautiful music that hail from these one-act short Italian operas. In Mascagni's Cavalleria rusticana, there is the famous Easter Hymn as well as Intermezzo, while Leoncavallo's Pagliacci features the music Vesti la giubba. In The Godfather Part III, Michael Corleone and his family return to Sicily to watch the operatic debut of his son Anthony in Cavalleria rusticana, while in the Seinfeld episode "The Opera", the characters attend a performance of Pagliacci. For those who have seen Raging Bull, the classic 1980 movie about boxer Jake LaMotta starring Robert DeNiro, Cavalleria Rusticana's famous Intermezzo will ring a bell as it plays over the top of footage of LaMotta's training in the opening sequence, seen in the clip below. The two short operas have been sung as a double bill since 1893 despite being written at different times by different people. Both operas are dramatic tales of betrayal, heartbreak and astonishing brutality set in the backdrop of the beautiful Italian countryside. 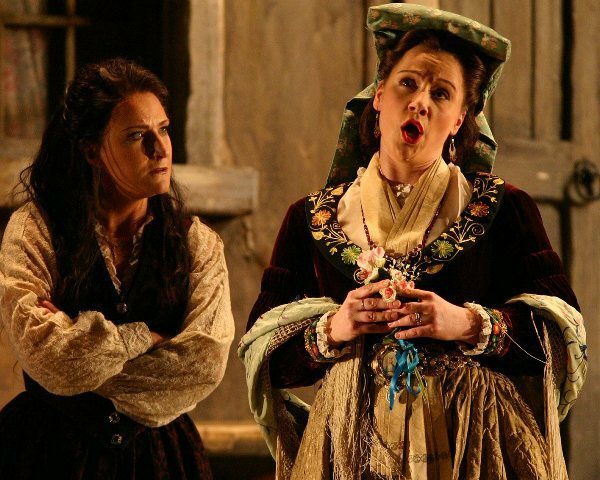 This WNO production has some of Wales' big opera hitters including Gwyn Hughes Jones, David Kempster, Camilla Roberts and Anne-Marie Owens and Birmingham audiences can see them on June 9 and June 11. On June 10, the WNO looks forward with its specially commissioned piece for the 70th anniversary called In Parenthesis. It focuses on the Battle of the Somme as a way of also commemorating the centenary of World War One at the same time. 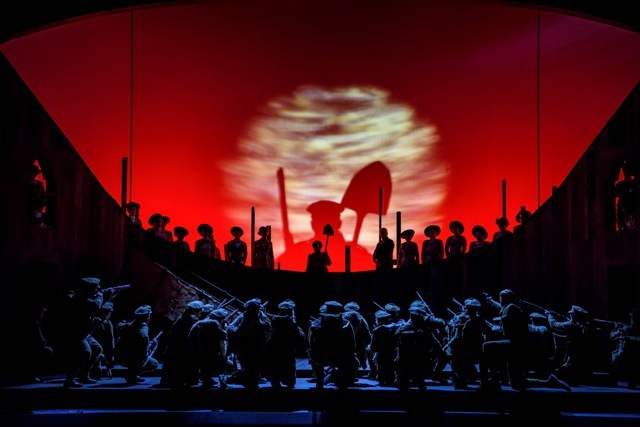 The opera is an adaptation of David Jones's poem when the poet describes his personal experience as a soldier in the Royal Welch Fusiliers at the Battle of Mametz Wood. WNO's Artistic Director David Pountney directs and there is a libretto by David Antrobus and Emma Jenkins. In Parenthesis is conducted by WNO's Conductor Laureate Carlo Rizzi and features tenor Andrew Bidlack in the lead role of Private John Ball. Mark Le Brocq plays Sergeant Snell while renowned baritone Donald Maxwell returns to WNO to star as Dai Greatcoat. It is sung in English. To coincide with this production, which has been commissioned by the Nicholas John Trust with 14-18 NOW ( the UK's arts programme for the First World War Centenary), a dedicated inparenthesis website has been launched and features a series of video podcasts and background information on the life of David Jones. For theatre fans, there is also a feature tracing the creative process of bringing this new opera to the stage. If you don't get chance to see In Parenthesis, then there will also be a live streaming of it on July 1, which remains available to view for six months. It's the first full-length opera from Welsh National Opera to be shown in this way on the Opera Platform website. David Pountney said "It is very inspirational for me to have a part to play in this 70th anniversary celebration. I first worked for WNO in 1974 – so not quite 70 years ago – but long enough ago for me to feel a real bond with the adventurous and explorative roots of this company. "Our new commission, In Parenthesis, commemorates the horrific events of 1916, but also celebrates David Jones' visionary literary work which distilled those horrific experiences into timeless poetry." Tickets cost from £16.50 at the Birmingham Hippodrome website.